Forward Brendan Brooks says Great Britain’s gold medal-winning roster are “such a special group of guys”. 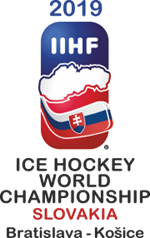 GB will play in the top flight of world ice hockey next year for the first time since 1994 after a Robert Farmer goal 15 seconds before the end of regulation time secured them the point they needed for promotion. Britain had trailed the game 2-0 with 10 minutes to go but Robert Dowd’s goal was followed by a penalty-shot save by Ben Bowns before Farmer’s low shot trickled in to send GB into dreamland. “This is just so amazing and words can not describe how I am feeling right now,” said the Braehead Clan forward. “We are all great friends on and off the ice – and I think that shows with how well we have done this week. “We never know when we are beaten and this was the best comeback of my career.